Abby Fabiaschi is the author of the novel I Liked My Life. She is the cofounder of the nonprofit Empower Her Network, which works with survivors of human trafficking. 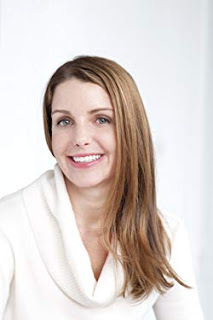 She lives in West Hartford, Connecticut, and Park City, Utah. Q: You note that your novel initially was inspired by a loss you experienced as a teenager. How did you end up creating the characters of Eve, Madeline, and Brady? A: Yes, I set out to explore grief compounded by guilt during those tender teenage years where we are all still in search of our voice and true self. With that goal in mind, I created a what-if scenario, tapping into the perspectives of the mother and the father as well, in the hopes of creating a holistic, layered narrative. Q: You started an initial version of the book when you were 24, and put it away for seven years. How did your vision for the novel change over that time? A: The heart of the story didn’t change, but the mother and husband’s perspective matured. When I completed the first draft I’d been married about a month and had no children. When I revisited the story, I had a much better understanding of the institution of marriage, its roots and complexities, and I also had children of my own, allowing a more genuine imagining of what Maddy would want to convey to Eve. The biggest change between the drafts was more tactical, though: I struggled with how to present a deceased narrator. Initially, I did that thing writers do and assigned her a setting and “look,” but, having never been dead, this was impossible to do well and distracted readers from the heart of the story. In the second draft, I abandoned that tact and let readers imagine Maddy’s afterlife however they wished. A: I’m an inefficient writer. At first, I have no plot. No plan. I get bored with my own story if I know what’s going to happen. I love exploring who a person is at their core and how they got there. Character in mind, I go in search of conflict that drives their growth or demise. I enjoy unearthing what a character does when squeezed … pushed … provoked… by life. Once I find the real story, it can be frustrating to delete all the work leading to that moment, but mostly it’s exciting. By then, I know my main character well and I get to see how they step up to adversity. A: I read addictively and across genres. From the classics, Harper Lee’s To Kill a Mockingbird is my all-time favorite. (And yes, I enjoyed Go Set a Watchman, naysayers be damned.) Love Jane Austen. Edith Wharton. Charles Dickens. It’s such an obvious list it’s boring. The most impactful read so far this year was Homegoing by Yaa Gyasi and my favorite contemporary writer is Elizabeth Strout, whose economy with words astounds me. Other favorites: Toni Morrison, Ken Follett, and Lisa See. A: I love talking to book clubs! Over the past year I have FaceTimed and Skyped with over 65 groups. 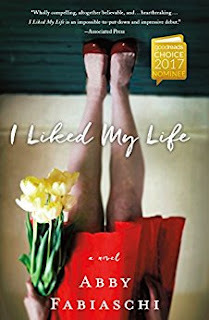 If your book club is interested in reading I Liked My Life, fill out this quick form and I’ll join in to answer any questions.